Born: Friday 20 April 1753. Christened 9 May 1753, Friars Gate Presbyterian, Derby. 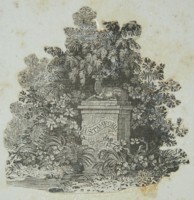 Died 28 January 1832. Daughter of: Thomas Stamford (1712-1787) and Hannah Stamford nee Crompton (1720-1788). Sister of: Elizabeth Caldwell nee Stamford, (1754-1831) who married James Caldwell (1759-1838). We know of Hannah from her portrait and from the diary of her niece Anne Marsh-Caldwell. Hannah was a lady of considerable fortune but never married. 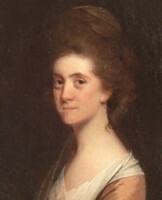 She spent the majority of her later life living with her sister Elizabeth Caldwell at Linley Wood. Anne described her as follows; "neat and exact to excess...a middle aged woman with lively dark eyes, a sharp nose, thin lips and a chin rather underhung, of sprightly parts and an excellent woman...A love of order in all its branches great and small seems to have been the predominant character of her mind - displayed in all its branches from the economy of her fortune to the neatness of her night-cap border...". From Anne's diary we get a image of this aunt, with very high standards, living in her own wing of the house, but taking an active part of instilling in the children a good knowledge of everything from music to science. 28-20543 © WEDGWOOD MUSEUM TRUST 2004. ALL RIGHTS RESERVED. Then received from the written named Enoch Wood, the Elder, the sum of Three Thousand One Hundred Pounds Eleven Shillings and six pence being the principle money and all interest due on the bond bearing the date the sixth day of December 1792 mentioned and referred to in the written indenture (except the sum of Seventy five pounds half a years interest remaining to be settled on reference to Josiah Wedgwood Esquire. 28-20545 © WEDGWOOD MUSEUM TRUST 2004. ALL RIGHTS RESERVED. 28-20548 © WEDGWOOD MUSEUM TRUST 2004. ALL RIGHTS RESERVED. Letter from Miss Hannah Stamford to Enoch Wood regarding a dispute over the sum paid by Wood & Caldwell to Miss Stamford. 28-20549 © WEDGWOOD MUSEUM TRUST 2004. ALL RIGHTS RESERVED. 28-20550 © WEDGWOOD MUSEUM TRUST 2004. ALL RIGHTS RESERVED. 28-20556 © WEDGWOOD MUSEUM TRUST 2004. ALL RIGHTS RESERVED. 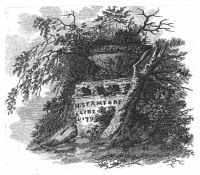 Note regarding Hannah Stamford andEnoch Wood. There is a note in the Staffordshire Record Office (4229/5/1-3) stating that when Hannah died she left everything to her sister Elizabeth Caldwell, wife of James Caldwell.